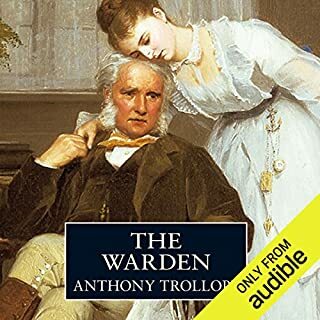 Set in the world of the Victorian professional and landed classes, the story centres on Mr Harding, a clergyman of great personal integrity who is nevertheless in possession of an income from a charity far in excess of the sum devoted to it. Charlotte Bronte accused Jane Austen's novels as akin to taking place within a walled garden. Mansfield Park is one of the few times Austen steps briefly beyond the garden gate, and she doesn't like what she sees. With the exception of Emma's meddling in the love life of Harriet Smith, in "Emma", Austin has little to say about the under-classes. They usually appear as undifferentiated "servants" with nothing to say for themselves. However In "Mansfield Park", Fanny is born to a working class father and a landed mother fallen on hard times but she is adopted and essentially raised in society comfort by her wealthy aunt and her family. 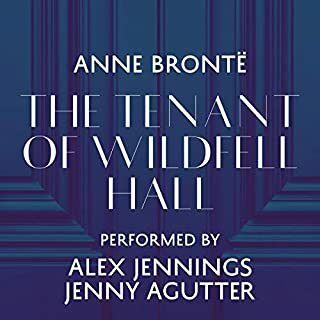 In an excruciatingly blatant piece of class prejudice Austen determines and discriminates her way through Fanny's brief return to her origins - an overcrowded Portsmouth hovel which, strangely, is equipped with servants. Fanny's relief is boundless on her return "home" to Mansfield Park. It is a type of prejudice altogether absent in the work of the Bronte sisters, although they and Austen were not exactly contemporaneous. As for the rest of the book, it is the usual trajectory of thwarted romance that comes good in the end. 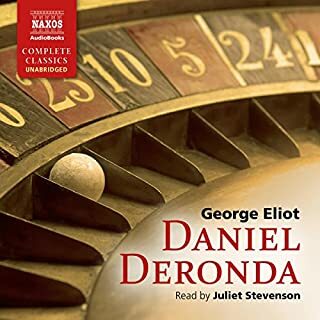 Juliet Stephenson's narration is flawless, as usual, and the production quality is of the high standard typical of "Naxos" audiobooks. I read and listen to this book every few years and l still love it as much as the first read. Love the era it's written on and the writing is magical. I can listen to Juliet all day. 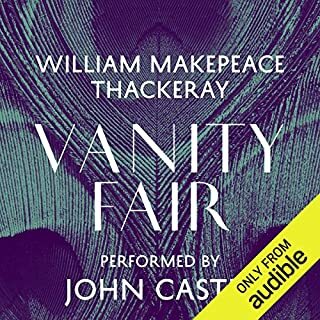 Juliet Stevenson is a fabulous narrator, especially for Austen. Her performance is warm and engaging, and she does equal justice to both male and female characters. Austen's novels are the perfect antidote to stress or a bad day, and Mansfield Park is no exception. 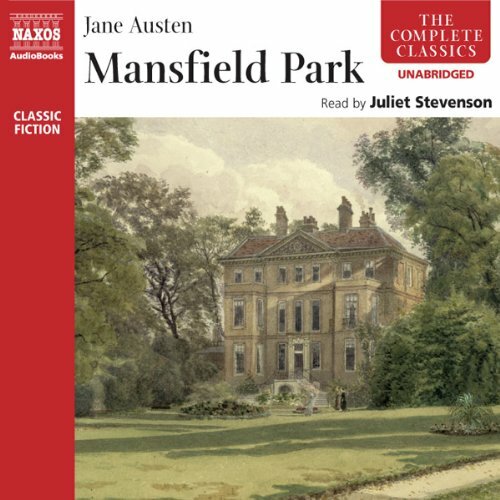 Whilst Mansfield Park is not one of my favourite Austen novels, Juliet Stevenson creates a beautiful ambient setting. Her characterisation is distinctive, but not dramatised. A fantastic listen. I do love Jane Austen novels. The era and culture of those times is fascinating with the rigid class structure and customs as well as the inferior role of women in society. Life has changed so much, so different but so interesting, such a contrast to today's world. The characters were well developed. The narration was perfect. The ending was a little disappointing because it was rushed and a bit strange that it was acceptable for first cousins to be marrying. Otherwise I enjoyed the story very much. Give yourself a treat and listen to this. 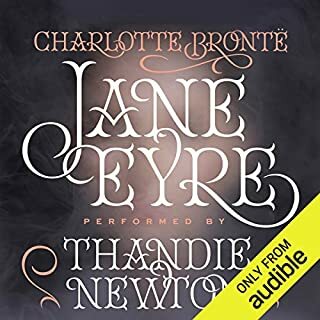 I so enjoyed it and am going to listen to the rest of the Jane Austens read by her with equal enjoyment I am sure! Oh such felicity, such gaiety, such rapture! I had read this book before but many years ago and like so many others knew Jane Austen from Pride and Prejudice and more from the tv series than reading the book. However, Jane is at her most observational in this book - characters are so real that they are recognisable from people we know today and she is also at her most cynical - the wit is brilliant. 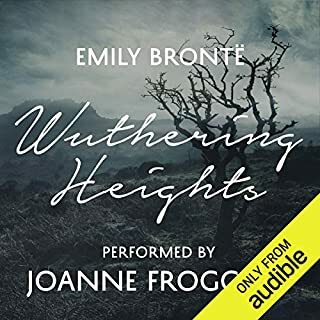 Its a fantastic book and Juliet Stevenson is masterly in her narration. If I could have given it six stars I would have done! 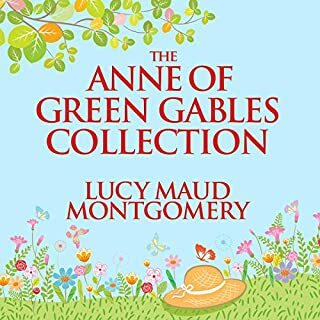 From the many reviews I've read, I know this novel isn't that popular among Jane Austen fans, most finding the heroine Fanny Price to be too much of a wallflower for a lead character. To me it seemed like she was on the contrary a young woman of conviction with a strong moral fiber, who seemed to have more depth than the leading young women in the other two novels I've read by Jane Austen (S&S and P&P), which I found too frothy for my liking. The secondary characters were very entertaining; indeed, their presence was essential in moving the story forward and providing plenty of spice and drama. Excellent performance by Juliet Stevenson, who is one of my favourite narrators. If you like Jane Austen you can't do better than Juliet Stevenson. 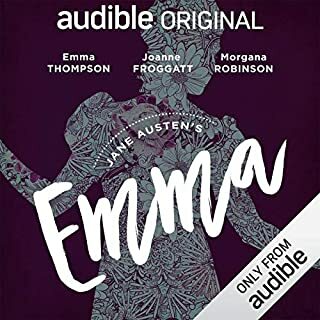 She manages all of the characters' voices, including the men' and the narrator's, providing a dramatic yet sensitive reading catching what we might imagine was Austen's own voice. Each time I listen to one of the books I hear a new line or thread in the narration that I didn't catch before. Love them all. An exceptional narration and abridgement of a classic. But I bought it because of the narrator Juliette Stevenson.....superb. Well, it's a classic. I love this type of story so it appeals to me right up front. This narrator is the best at this type of story. Just only negative is it's so long and somewhats meanders so much that I almost quit out of boredom but then it would pick up again. Descriptions are wonderful - I like listening to it. 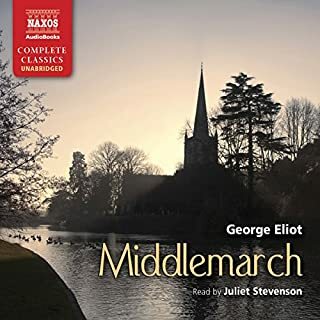 Juliet Stevenson's narration is superb in all the audiobooks I've listened to, but even her skill cannot lift Mansfield Park to the heights of Pride and Prejudice. Fanny Price is a drip! Edmund is a doofus! The story is a treadmill of reiteration! But if you feel compelled to read Mansfield Park anyway, this edition is the best I've heard. 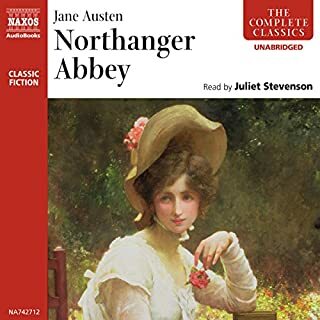 For those not familiar with Jane Austen's works I recommend Northanger Abbey. It's goofy on purpose. I actually really enjoyed this book. There are a number of reviews where people harp on the frailty of Fanny Price and her timid nature. While, she is no Elizabeth Bennett... I do think there is something to be said about the true soul of Miss Price. She lives in a world where she has been told again & again that her station was beneath those around her. Wouldn't being sent away from parents and siblings to a world of fashion and elegance where people make sure you know that you are inferior and should be grateful of EVERYTHING could make one want to blend into the background? I think that Henry Crawford starting his attentions just to relieve boredom by making her fall in love with him and then falling in love with her because of her nature and how different it is to those around her. I'm ashamed to say that I watched the 1999 movie before reading the book. I like the relationship with her brother; who is not in the movie at all. But, I prefer that Edmund seems to love Fanny all along in the movie rather then the original story of disappointment in Mary showing him the benefit of Fanny. Still, it's worth the credit. A great book of a girl comming of age. A well spoken narrator reads this book with the upmost perfection. 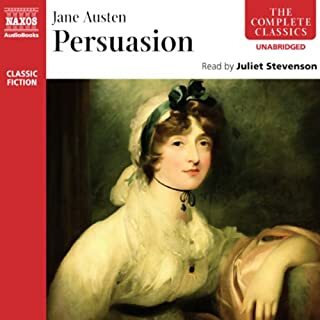 "A timless classic"
This is not Austen's best book, but still well worrh listening to. And, as always, Juliet Stevenson reads beautifully. Another wonderful story from Ms. Austen. Jane Austen is one of my favorite authors and I've read and listened to her books a number of times. This is the second time I've listened to Mansfield Park and decided to write a review. There isn't anything that can be said that hasn't already been said about Ms. Austen's books. The characters are wonderful, the dialogue is fun and witty and the story is always captivating and enduring. If you are the type who watches the movie before reading the book, be prepared, the movie does not follow the book. As always, the book is always better. I also enjoyed Juliet Stevenson's narration for this story. 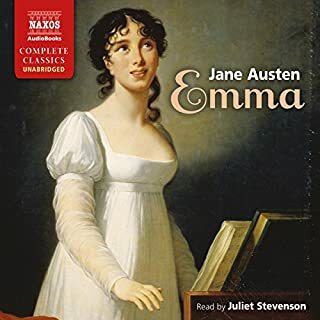 Her wonderful voice and proper language made the story come to live and I chuckled along with some of the dialogue as most do in one of Ms. Austen's works. Great story, wonderful narration. Nothing more needs to be said. I was what you might call a reluctant Janeite. I suspect there are a lot of us out there, especially among us men. From being force-fed ‘Emma’ in sixth-form I was in denial - I recognised the writer’s quality without properly seeing that her stories are more than just tales of closed societies of young idle people wasting their time before being married off. I’ve begun to see to what extent I was wrong, and Mansfield Park has helped greatly with that process. Even some quite ardent lovers of Jane Austen have trouble with Mansfield Park, or, more particularly, they have trouble with Fanny Price. She’s not “feisty”; she lacks heroic quality; she’s weak. Broadly, she commits the sin of not being Elizabeth Bennett. These criticisms are true as far as they go, but here’s the thing: the book tells us exactly why and how she’s all this, how she copes with and ultimately overcomes her troubled upbringing and ends the book as a fully-rounded & admirable person. Here’s a girl, less than healthy, certainly neglected and conceivably abused at home, taken as an act of charity from her parents and placed in a high-class environment already packed with well-to-do, self-assured older children and adults who, with one exception, treat her with anything raging from condescension to disdain to simple ignoring, so that she almost always feels she is only at Mansfield Park on sufferance. Should she ever show “ingratitude” or independence of spirit, there is Mrs Norris to tell her how lucky she is to be among such superior society at all. If at any time she receives what seems to be preferential treatment there is always someone to remind her of her lowly status. The only adult who appreciates her is too idle and self-absorbed to be any help, and the only one of the children who supports her becomes neglectful when he falls in love. Is it any wonder that Fanny is less than self-confident? The story of the book for me is how she acquires her inner strength: as others fail and show their feet of clay she consistently increases in power without ever losing that essential eighteenth and nineteenth century attribute, modesty. And this rise comes organically and feels true, and through this I cannot be one of the anti-Fanny crowd. For me any weakness in the book comes late. The inevitable marriage feels contrived and even possibly objectionable: maybe another outcome would have been too difficult to pull off without upsetting conservative readers, but this somewhat bolted-on happy ending, while it doesn’t spoil a marvellous book, feels unwanted. This is a copy of my Goodreads review. I only need to add here that it is read superbly. Oh and that Edmund is what PG Wodehouse would call "a pill"! 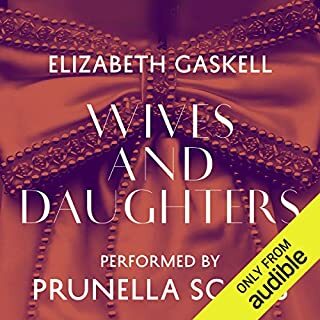 I took a couple of unsuccessful attempts to select a version of this audio book because although I knew I liked Juliet Stevenson's narration of other Jane Austen books the audio sample attached to the title had such bad quality sound I wasn't sure I could put up with it throughout the whole book. 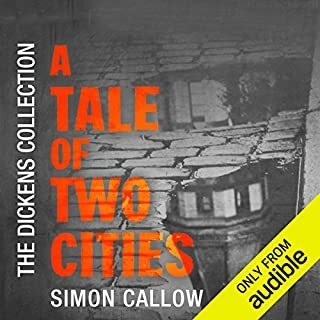 Eventually I decided to give it a try because Audible allows you to return a title for refund if you're not happy with it (a facility I'd discovered and taken advantage of when I tried the other narrators). 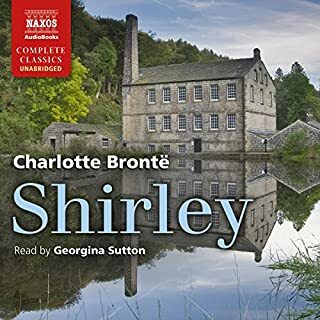 Happily, I found that the sound quality of the full audio file when I downloaded it was good, at least as good as the recordings of the other Jane Austen titles Juliet Stevenson had narrated - this one's not going back. 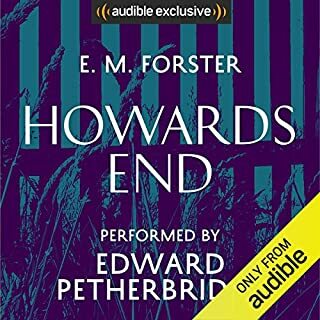 This was my first audiobook after being introduced to audible, and I was not disappointed. Juliet Stevenson reads wonderfully well, and clearly distinguishes between characters. It really brought the book to life. This is not my favourite Austen, as I find the protagonist Fanny Price, a little annoying, but the usual wit and genius shines through nonetheless. I would recommend this very highly. Jane Austen's characterisation and dialogue are, as always, brilliant, and seem to be particularly effective when read aloud.Since reading circles were a common social activity in J.A. 's time, perhaps she intended this. Juliet Stevenson does full justice to the text. She uses different voices for different characters, which bring out their character beautifully, yet sound quite natural. I am pleasantly surprised, because this is one of the cheapest versions of Mansfield Park, and yet it must be one of the best (I haven't tried the others, but other people's reviews seem to indicate some are not as good). What other book might you compare Mansfield Park to, and why? Just as good as Jane Austen's other novels. Lady Bertram -I can just picture her laid out on the chaise longue,so outrageously self-absorbed and indolent that she becomes comic.. Yes, but I rationed myself, so I would have it to look forward to. Sparkling wit at its best! Ah, the wit and wonder of Jane Austen is second to none - many an acerbic observation made me gasp or laugh out loud throughout this, one of my favourite of her books. I think Fanny Price is such a gentle natured girl that she may be in danger of getting overlooked as one of Austen's main characters most deserving of attention. She is full of both sense and sensitivity and is rather lovely to spend time with! The other characters are flawed and very human indeed, with foibles a plenty and scandals abounding. Plenty of opportunity for Austen to get out her claws and hold her mirror up to society. Things have changed since, the scandals may seem tame but the hurts they would cause would still be far reaching even if the consequences very different now. The ending still makes me smile and sigh with relief (trying not to spoil things for future readers too much!) and it is over all too quickly. 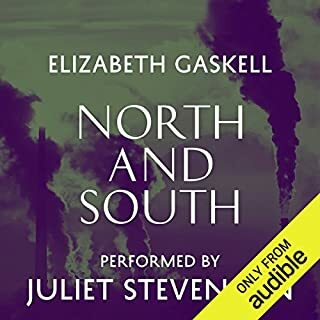 Juliet Stevenson's reading of the audio book is excellent with some brilliant voices for the different characters, she certainly sounded like she was having a lot of fun as she was reading it! I found the heroine Fanny a trifle feeble to begin with.But she does eventually redeem herself.I just love to listen to the genius of Miss Austens prose.It is captivating in itself. The narrator is very good and brings the characters to life. Juliet Stevenson does full justice to the magic of Jane Austen's words. 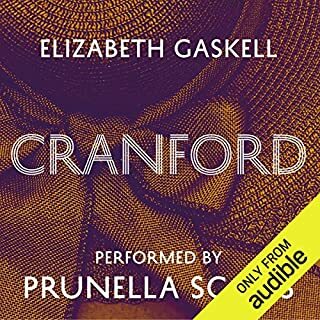 While Fanny and Edmund aren't as engaging as many of her other couples, this is still a delightful story and the 17 hour running time flew by as I lost myself in the world of Mansfield Park. Eloquently narrated by Juliet Stevenson, who captures the atmosphere perfectly. The characters come to life in this story.